I frequently write about the communicative power of story, and the insights that organizations can glean from listening to story and exploring narrative. But what is a real story, and how do you go about gathering some? I discourage labeling anything and everything as a story, because it demeans the exquisite tool that is a true story. A story isn’t an opinion statement (“Social innovation is the future.”). It isn’t a slogan (“We’re as American as apple pie”). And it isn’t a message point (“Acme is the leading innovator”). Stories are accounts of incidents and events, however brief. A story allows the audience to see something happen to someone or something. 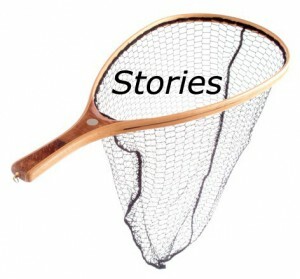 So, how do you gather powerful and persuasive stories from colleagues, customers, donors, grantees, and even yourself? Here are a few starting points. Ask: “Tell me about a time…” By asking about a discrete moment in time, you encourage the sharing of experience and the details and emotion that accompany the recollection. Ask for superlatives. Think about your first day at work. Or your most delightful site visit. Think about the happiest memory you have of working with your team. And think about your worst experience: volunteering. We tend to remember the superlative moments in our lives. Probe for those experiences. Ask for heightened emotional moments. Emotion is often referred to as the “glue” of memory. Ask people about moments when they have felt connected, surprised, or touched. Ask for “Aha!” moments of epiphany and for turning points. I. Please tell us your story in your own words. II. What steps did you take to address the problem? III. What results did you get? These prompts result in a classic conflict, attempted solution, resolution narrative arc. Think about asking would-be writers to follow a similar storytelling arc. I also recommend reminding them that their stories should contain a character and be clearly set someplace at a noted time—for example, the first day of school or last Saturday. Yup, the same tips apply to gathering stories via video and film. Remind people before they go on camera that they are about to recount a moment in time, as if they are sharing it with a close friend. Provide a time limit, ideally no more than three minutes, and encourage the sharing of even shorter stories. Suggest that your storyteller determines the last line of his or her story before the camera rolls (if we don’t know where we’re going, we’re more likely to get lost along the way). Here are some fantastic examples of powerful stories, simply shared, on behalf of Oxfam. This series of public service ads features celebrities sharing stories about emotional moments in their lives, prompted by an object. Also take a look at this great series of stories produced as a hospital advertising campaign. I especially like Matt Long’s story. He wrote a 300-page book on his accident and recovery, and has toured extensively in support of it. He has many stories to tell, and here he recounts one simple one, much to the compliment of New York Presbyterian Hospital. You will learn a lot by gathering and analyzing stories from clients, donors, grantees, board members, colleagues, and staff members. You will also confer tremendous respect on your audience when—rather than merely asking for their opinions or statements of belief—you demonstrate genuine interest in their lives. Communications Network member Thaler Pekar is the principal partner of Thaler Pekar & Partners.